Home » Shot Down. 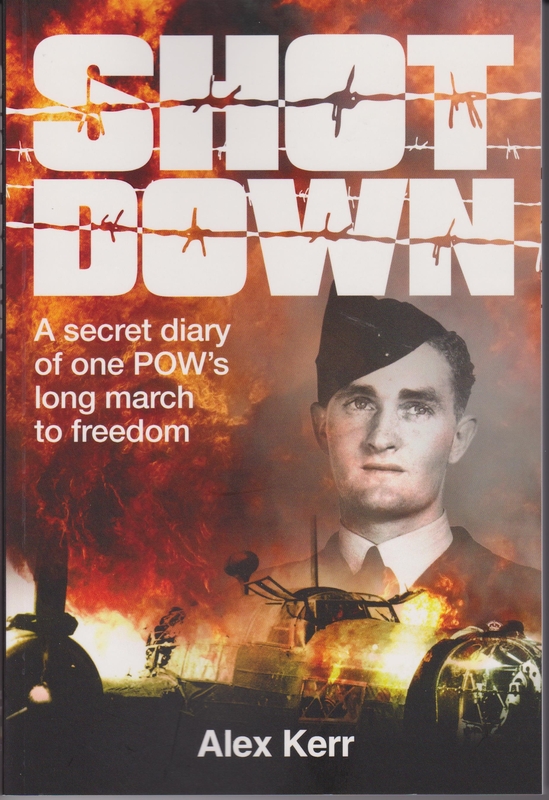 A Secret Diary of One POW’s Long March to Freedom (Flightpath). Big Sky Publishing, June 2015. ISBN: 9781925275179. Appeared in Flightpath Volume 27, Number 2, November 2015 - January 2016. Twenty-year-old Sergeant Alex Kerr had been operational with 115 Squadron RAF as a second pilot for less than a month when, on 10 May 1941, a night fighter attacked Wellington R1379 KO-B. The West Australian was seriously wounded, KO-B was mortally damaged, and the crew had to bale out. After months in German hospitals, Kerr was incarcerated in Stalag IIIE, Kirchhain, then Stalag Luft III, Sagan, Stalag Luft VI, Heydekrug, and Stalag 357, Thorn and later Fallingbostel. In the final months of the war, he trudged across Germany in the Long March. After narrowly escaping death when the column was strafed by Allied aircraft, he and a mate escaped to Allied lines and freedom. Based on his wartime diary, Shot Down includes enough training and operational details to satisfy any aviation enthusiast—his last op is sheer, nail-biting, storytelling magic. Kerr also recounts little known aspects of captivity in Europe. For example, at Stalag IIIE, he and 51 other prisoners tunnelled out of Kirchhain; he was on the run for 10 days. The breakout was the largest, most successful escape attempt to date, yet, surprisingly, little has been written about it. Kerr’s account is thus a valuable addition to escape literature and, because of Australian involvement, our military history. So too is his description of life in Stalag Luft III. Rather than the officer-centric focus of the usual Wooden Horse or Great Escape narratives, Kerr offers a rare NCO perspective of that famous prisoner of war camp. Shot Down is a fascinating memoir, told with a uniquely Australian voice. Recommended.